Just north of downtown along Broadway, at the corner of Mullanphy Street, hides one of St. Louis' barbecue destinations. A carryout restaurant with limited seating, Smoki O's feeds its barbecue-hungry crowd slow-cooked meats of just about every variety. Sandwiches and dinners are available, built around your choice of barbecue, including pulled chicken or pork, ribs, brisket, hamburgers and turkey. Patrons can round out their meal with potato salad, cole slaw, mac & cheese or vegetarian greens. Desserts include carrot cake, German chocolate cake and peach cobbler. 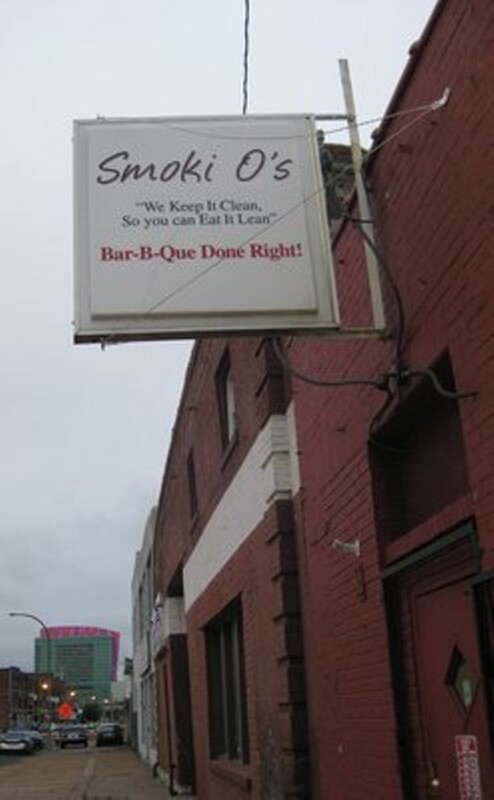 Smoki O's serves your meat hot or mild, according to your request. They are also available for catering. And yes, Smoki O's does have snoots.